Frequently government contractors come into the public market and just assume someone will be available to help guide them to a specific need. This myth is propagated by Organizations that help guide contracting and procurement to find more private vendors in the overall population available to Organizations. However, once the vendor is actually dealing with an Agency or Command, the leadership expect that the vendor has their game together and can meet specific needs without needing to be “fit” into the system. Those who hit this wall unaware are often culled out, dropped, rejected or ignored as not being ready for prime contracting. Your success in government contracting and procurement is helped by researching the target Organizations first. Don’t just go into government contracting like you go to the supermarket and expect everything to be in a neat section for you. Dig into the Organizations and determine what they do, why they exist, what their operations provide and where they work. This valuable information is easily available on most government websites. In addition, the government budget documents are key indicators for where money is spent. You will need to learn how to read them, so you understand the flow of money. A bit of exposure to government accounting and terminology can go a long way in identifying which programs rely heavily on procurement and what they actually buy. That, in turn, becomes valuable ammo for your targeted capture and bidding on government opportunities. Too often government marketing is focused on the Organization’s Program Manager or Executive Officer. Granted, these are the most important people in the process as they will be a major part of the Source Selection Board, but they are not the only players involved in the actual procurement. The contract specialist or contract officer is someone you definitely want to become friendly with so you can help shape how a deal will be released – small business vs full and open, set-aside work, NAICS codes, number of IDIQ awardees, etc. In addition, there may be funding by another agency or command who will have input into who is selected for the work. You need to make certain you understand the full flow of funding so you can help your customer and your company by knowing how the entire procurement process will work. Also, always get to know the Small Business Advocates at the Organization – they can help you if you are a small company, get in front of the right people at the organization, help shape the deal to your specific small business status and support your efforts to find work that fits your talents. But if you are a large company, they can still be your best friend – ask them for a list of small companies that have done work for the Organization before and is well liked, if you need a WOSB to support your team, they can find you a list to interview. So be certain to follow down every path and meet regularly with all of them to always have the pulse of the entire opportunity. The final big mistake vendors often make is to try to track all of this information in emails, spreadsheets or sales tools not created for the complexity of Government contracting sales. It is vital to collect, measure and evaluate every piece of information that you collect from meetings with the Organization’s team and be able to compare that to other opportunities you are tracking. This will allow management to monitor what deals they should continue to chase and fund and what deals they should abandon due to lack of information about the customer needs and wants. Government procurement is a process well-established and followed in detail. 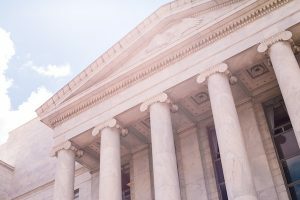 Your own approach to government contracting should be repeatable, organized and well thought-out with a full strategic plan and capture approach. This is where tools like BIT Solutions’ CaptureExec software can help, providing critical information to management and cloud access to everyone on the team, that provide critical organization to your Capture approach. There’s plenty of opportunity with government contracting, but those who consciously plan their moves win more bids.